You’ve worked hard to get to where you are, obsessing over the smallest details, making sure that the right things happen at just the right moment. You’ve endured sleepless nights and moments of self-doubt, yet still you pressed onward. And now, everything you’ve been through is justly rewarded. The 2019 BMW 7 Series 740i. Pure, unadulterated indulgence disguised as a full-size sedan. It was designed and engineered with one thing in mind: to pamper you constantly. Seems a little excessive? Hardly. You know you deserve this. So, start claiming what’s rightfully yours, here at BMW of El Cajon. We have nothing but the best deals on the 2019 BMW 7 Series 740i for sale in El Cajon, CA. Our sprawling BMW 740i inventory is ready to spoil you with every trim, option, and accessory available. Sample the luxurious life with a test drive of one of our models, easy enough for our valued customers coming from La Jolla, Kearny Mesa, San Diego, and Mission Valley. Go on and let the 2019 BMW 7 Series 740i show you what real indulgence feels like. 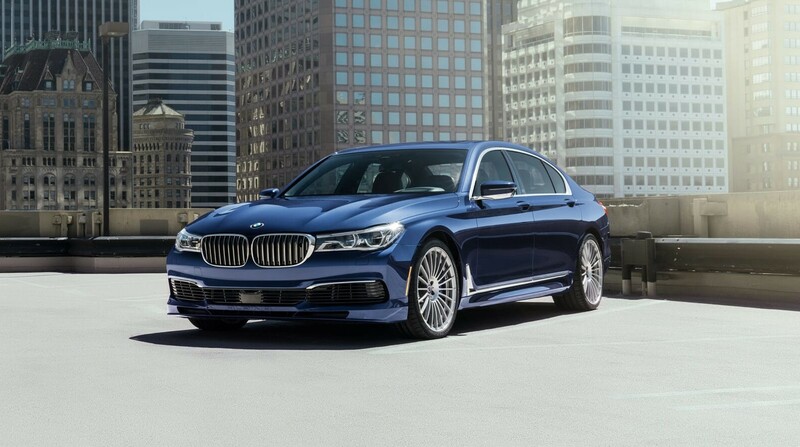 The 2019 BMW 7 Series 740i promises big things your way, chief of all being its proportions, enabling it to make a statement just by standing there. Yet the 740i’s generous size doesn’t look bloated in any way; in fact, the agility is very much evident in its contours. The front, comprised of the active air stream kidney grille and quad LED headlights, surges forward with confidence, while the rest of the body’s sculpted lines and precise angles follow naturally. The windows are beautifully outlined in chrome, adding to the powerful silhouette. The 740i’s rear wide track is emphasized by a chrome bar detail unifying the brake lights, delivering a striking look. But it’s the interior where jaws are guaranteed to drop, beginning with the lounge-like appointments. Four occupants get the privilege of traveling in utmost comfort, on seats draped in Dakota leather no less. A black panel center console in brushed aluminum features touch-sensitive controls, and contrasts perfectly with the high-gloss Fineline Wood trim. Let the sunshine in or simply gaze at the stars with the fully automatic 2-piece panoramic moonroof. Bask in audio heaven with the tunes pumped out of the Harman Kardon® Surround Sound Audio System’s 16 speakers. Onboard WiFi Hotspot ensures you always stay connected for business or leisure, while BMW Concierge Services is at your beck and call, whatever you need, whenever you need it. The 2019 BMW 7 Series 740i will definitely take you to the top. All that luxury and opulence deserves an equally indulgent amount of power, and the 2019 BMW 7 Series 740i doesn’t disappoint. Fancy a 3.0-liter TwinPower inline-6 turbo, dispatching a healthy 320 horsepower and 330 lb-ft of torque to get all that heft going, sorted out just as easily by an 8-speed Steptronic transmission with Manual and Sport modes. Electronically controlled engine cooling keeps things running at the optimum temperature no matter what the conditions are outside the hood. Driving Dynamics Control with preprogrammed driving modes makes the 740i versatile for its size, switching between efficiency and performance with the greatest of ease. Carbon Core chassis construction provides ample rigidity and lightness at the same time, while a 2-axle self-leveling air suspension delivers the smoothest of rides. 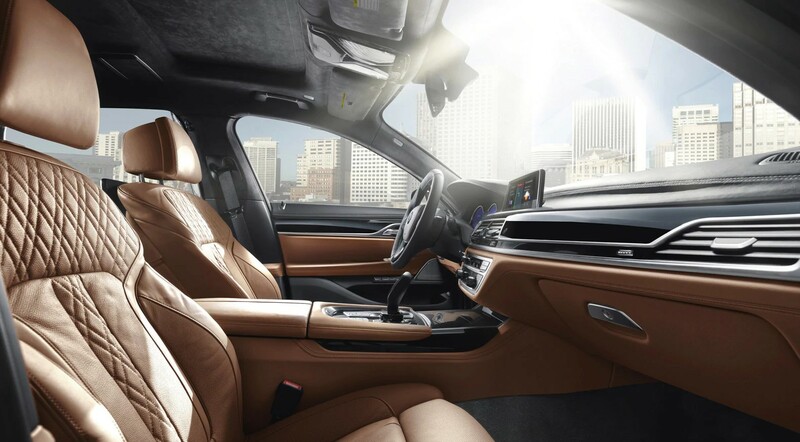 Book your next visit to BMW of El Cajon today, and prepare to engage the next level in luxury with the 2019 BMW 7 Series 740i.